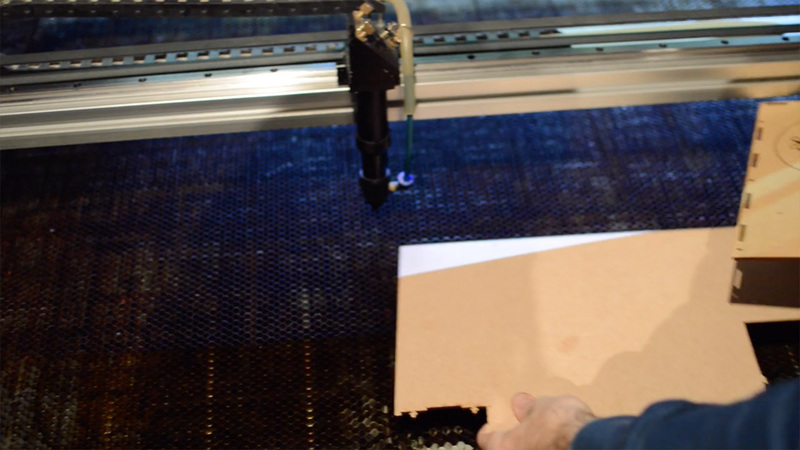 All BRM Laser machines come standard-equipped with servo motors, thereby ensuring your end product’s stability. In addition, the laser tube is chilled by a closed and alarmed water cooling system. To operate this machine, a trained level of skills is required. Supported graphics: BMP, CIF, JPEG, TGA, TIFF, PLT, AI, DXF, DST, etc. It can cut & engrave: nonmetal materials, such as acrylic, rubber sheet, plastic, crystal, glass, wood, MDF, plywood, bamboo, marble, leather, cloth, garments, paper, double-color board, marble, etc. It can not cut: steel and non-ferro materials such as aluminium, brass, copper and PVC. Engraving is possible only by using a special spray or wet newspapers. Restrictions for health care: organic and synthetic felt may only be lasered max. 2 hours a day! Leather may only be lasered max. 4 hours a day! Caution: cutting PVC is not allowed due to health risks involved.